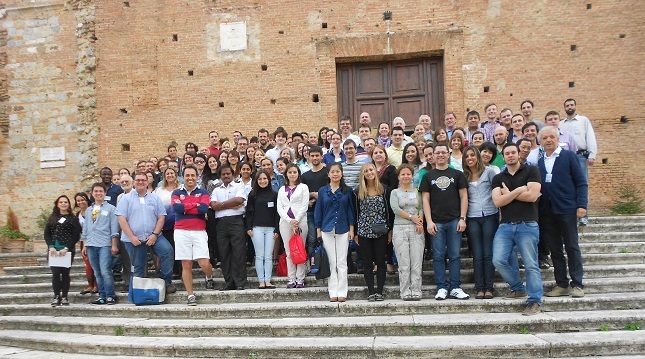 The International Mass Spectrometry Foundation and the Division of Mass Spectrometry of the Italian Chemical Society are glad to announce the 1st International Mass Spectrometry School (IMSS) that will be held in Siena (Italy) from 15 to 20 September 2013. This School inaugurates a new important activity of IMSF in the field of higher education in mass spectrometry, nowadays one of the major needs requested by the wide diffusion of mass spectrometry in different fields. IMSS 2013 is a six day full immersion school aimed to give advanced education in mass spectrometry to graduate, PhD, post-doc students, and young working in the areas of chemistry, biosciences, food, environment, and medicine. The school should also be useful for allowing meeting of young scientists coming from different countries and for creating new links among young generation of mass spectrometrists.